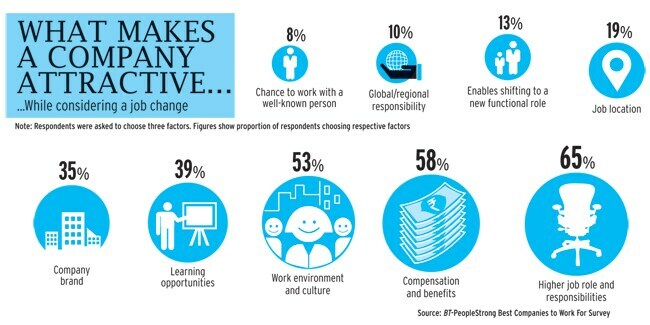 The annual BT-PeopleStrong Survey, carried out in association with Naukri.com, finds employees looking for more meaning than money. What are these? "Research done on Gen Y shows it is interested in workplaces that are clear leaders in learning, and offer roles that aid their development, roles that involve stretch," says Nishchae Suri, Country Head of People and Change Practice, KPMG India. Of course, workplaces are not peopled only by this age group. But the fact that 74 per cent of respondents to Business Today's 12th "Best Companies to Work For" survey were less than 35 years old means their attitudes and concerns were well captured. The younger respondents, not surprisingly, rated internet giant Google at the top, followed by technology and consultancy services firm Accenture. For the older generation, the world of best workplaces is different. Respondents between 46 and 55 years of age ranked Larsen & Toubro as the best company to work for, with ABB at No. 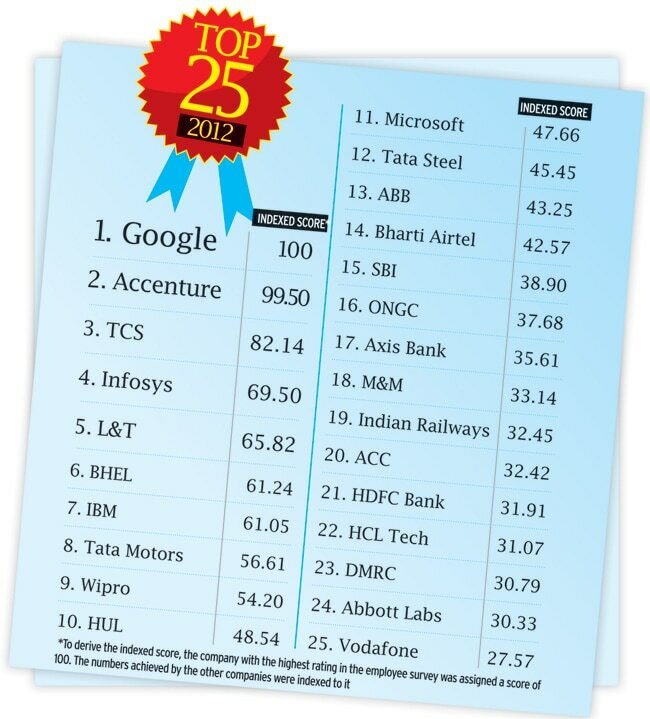 2, while Google and Accenture came in at Nos. 9 and 10. These and many more such insights are captured in the study, based on an open, online survey carried out using Naukri.com's database . The survey tries to capture how employees of companies in India perceive workplaces, what they aspire to, and to understand their key concerns and drivers at work. This year, four million potential respondents were targeted, of which 6,310 participated in the survey. While considering companies for employment, most employees said 'higher role and responsibility' would attract them the most. "All performers are impatient and want to take on bigger responsibilities as the need to constantly learn is very high," says Krish Shankar, Executive Director for Human Resources at telecom major Bharti Airtel, which features at No. 14 in our survey. A typical Gen-Y person is 31-year-old Bansari Vyas. She satiated her craving for growth, recognition and change at Airtel, where she joined from the Indian Institute of Management-Calcutta eight years ago as a management trainee. "I started with HR in a business partnering role, but wanted to handle strategic projects within a year-andhalf," she says. Her wish was fulfilled. Less than two years later, she applied for an opening in an online project to create a blueprint for making Airtel digital-friendly. She was sent for training to Singapore's telecommunications major SingTel, an equity partner of Airtel's, for four months. Though she had help from technology support and other teams, it was she who was empowered to give the final sign off. She was thrilled when her 'My Airtel' app won in the "Best Application using Network APIs" category at the GSMA Global Mobile Awards, 2013. Not just learning, individuality is also encouraged, and companies such as IT major HCL Technologies, featuring on our list at No. 22, want people to embody this at work and in their roles. "People seek opportunities and hence their roles must not be restrictive," says Prithvi Shergill, Chief HR Officer at HCL. Take Jaspreet Singh Sidhu, a Test Manager at HCL. Part of the delivery team, he feels he is always heard by his company. "I understand my client's business and my suggestion for changes to enhance the client's business return was implemented," he says. He recalls how he was the only one in a 70-member team who offered advice when he was just four years into his job. As a result, he has turned evangelist for the company, and has also encouraged his wife to join it. "She has worked with several other IT majors and knows the difference now," he says. But zany practices and learning opportunities are not the sole preserve of IT companies. In fact, increasingly, these are visible in the more traditional fast moving consumer goods, manufacturing and automotive segments as well. The rise of these segments is reflected in our survey, resulting in a well-distributed Top 25 list. To provide a more nuanced view, we have handpicked a few examples from the 25 to show how companies empower employees and aid learning. Google India features for its willingness to entrust absolutely raw talent with opportunities that feel larger than life. Accenture, because it engenders diversity, and Axis Bank, because it reaches out to the farthest outpost to engage its workforce. We have also profiled public sector undertakings Indian Railways and Delhi Metro Rail Corporation (DMRC), first-timers in our Top 25, whose presence shows how responsive people are to progressive and caring work cultures. In the pharma category, the India subsidiary of USbased Abbott Laboratories tops for nurturing a learning culture. Interestingly, Indian IT companies have taken a knock, their rankings falling. Companies are taking steps to give employees responsibilities beyond their job briefs, helping them and in the process, themselves too. For instance, Anant Jain, 31, who joined Abbott four years ago, had great interest in finance. The company put him to work on daily profit & loss projections. To facilitate this Jain would collaborate with divisional business heads. Abbott also enrolled him in an executive MBA programme at IIM Calcutta on advanced marketing. Today, he prepares business forecasts for the long term, constantly challenging numbers in its business model. Again, ITC has immense scope to nurture the entrepreneurial abilities of its workforce as it has spun off various businesses in personal care, lifestyle and food among others. Anil Sharma, Vice President, HR, ITC's Hotel Division, says: "I allow my different unit heads to participate in roles that have a bearing on the entire group." So, for instance, a unit head who knows law gets to handle legal responsibilities in addition to his core role of managing a particular hotel. ITC Hotels ranks No. 2 in the hospitality sector in our survey. "Our studies have revealed that careers are very important to people, and if roles are not defined across levels, there is no way one can put a career management system or a career planning process in place," says Prince Augustin, Executive Vice President, Group Human Capital & Leadership Development, Mahindra & Mahindra (M&M). "Compensation and benefits management requires us to benchmark roles across the group and ensure we do role based benchmarking." M&M uses psychometric tools to get profiles of people who match the roles the company has on offer. It uses a trait-based recruitment process along with a psychometric test from SHL, a UK-headquartered company engaged in talent measurement. "We have run extensive training programs in collaboration with SHL to train our hiring managers in trait-based recruitment techniques," says Augustin. Among other best practices, M&M also has a 'Shadow Board' competition, where a team of young managers critique the functioning of businesses, air views on strategic imperatives and give out-of-the-box ideas. Then there is Ingersoll Rand, which does not feature in our Top 25, but merits mention. In 2011, the company launched a special cell called Entrepreneur Creation Programme, or ECP, in which a few employees are hired every year with the mandate to eventually launch their own enterprise. One beneficiary is Siddhartha Agarwal, who had wound up his first attempt at business in 2010 due to a change in government policy. He then joined B-school XLRI in Jamshedpur, from where he was hired by Ingersoll Rand for ECP. 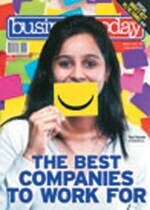 The 'Best Companies to Work For' has been an annual feature in BT for 11 years. The last study found work culture was key to employee satisfaction. Agarwal opted to work with its sister concern, Thermoking, a global leader in bus air conditioning and truck refrigeration. He set up service centres in the eastern India, providing complete solutions to customers, and helped scale up the region's business 10 times. Recently, he floated his own company, RS Comfosys, a Thermoking distributor and service partner. This is not a standalone case. It shows the extent to which good companies go to advance their own learning, along with that of their employees. And it is a continuing process. 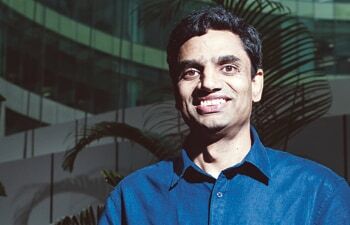 As Pratik Kumar, currently President of Wipro Infrastructure Engineering, had observed in our 2011 edition of the Best Companies to Work For: "You cannot be a seasonal best employer."